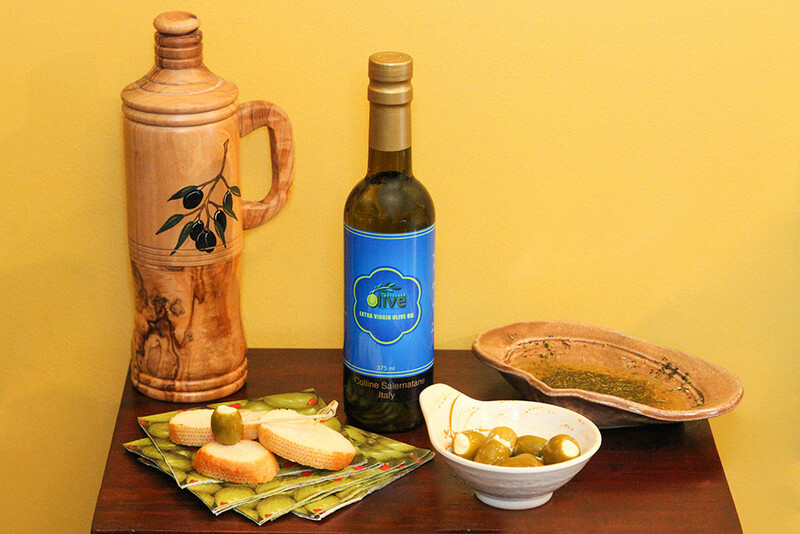 Gourmet olive oil isn’t just reserved for hostess gifts and special occasions. In fact, it’s even more accessible, and delicious, than ever. With all the talk of non-olive ingredients in certain imported olive oils, it’s nice to know that there are places close to home that can introduce you to 100% olive oils that run the gamut from extra virgin to Italian herbs natural flavor infused organic olive oil. If you think that’s a mouthful, you’re right… a mouthful of flavor. “What I do for folks who don’t know a lot is to have them sample milder olive oils to get used to the flavor profiles,” explains co-owner of the Suzanne Hall. “Then we’ll move up to the more robust flavors with layered profiles. Owners Suzanne and Joe Hall also offer infused balsamic vinegars, hot sauces, specialty foods and gifts for that foodie friend who’s already stopped by the newest restaurant in town. I’m sure they’d appreciate some Chocolate Balsamic Vinegar to accompany their soft cheeses, fruit, pastries, dessert, game meats and yogurt. Perhaps some Blood Orange brownie mix will spice up their dinner party. Then again, gifting some Florida Sea Salt Scrub in key lime sounds like a great way to exfoliate. The best part is if you’re unsure of how to use these oils, vinegars or sauces, Suzanne and Joe are on hand to help you out. “Our shop is set up as a tasting room, so you can taste everything before buying,” Suzanne says. They regularly host tastings and have plenty of ideas on how to use their products. “Our olive oils even have antioxident and anticancer properties. They are high in polyphenols, which helps to protect cells from turning into a cancer cells,” says Suzanne. 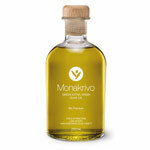 “There’s also a compound in olive oil has anti-arthritic properties. You can even put some directly into dog food for a shiny coat.” So the next time you want to impress some dinner guests or just want to wake up your palate, the Halls have you covered.